Combat Knives take center stage in our history. Combat knife styles of knives have been used all throughout history in many different wars. Almost every country on earth can find combat knives in their history, from world wars to the cold war; these knives were a soldier’s best friend. These types of knives are mostly found in trench warfare situations and close combat; you need the Best Combat Knife when you are faced one-on-one with the enemy. They can also be used by military personals to save lives on the battlefield. Combat knives can also be used in the outdoors for camping and gutting prey for hunters. Combat knives can also be employed as great fishing tools as well. Knowing that a fixture combat knife will not fail you, it can be a fantastic collector’s item! With such versatility and usage, who wouldn’t want to own one of these knives? They have been in all of the global wars, they have liberated countries from many war crimes and brought peace and freedom to many. Of course, I am talking about the United States Marine Corps. This Combat knife we are going to have a look at boasts its name. 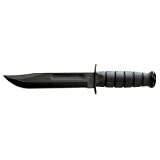 This full-size US made the marine knife, is designed to be as tough and durable as the soldiers that wield them. The sturdiness of the blade along with the effective grip of the handle makes it easy to use and extremely proficient in case of emergencies. The KA-BAR knife style is extremely military looking. It does resemble a knife that you would find a soldier using on the battlefield. The blade used on the knife has no match at all. Its sharpness, strength and sleek design, make it stand out. The fixed blade design used on this knife is world famous and is the most popular fixed blade design, in the world.The razor-sharp blade is made from the toughest steel to date. The 1095 cro-van steel used is made to be used in much more extreme combat situations. 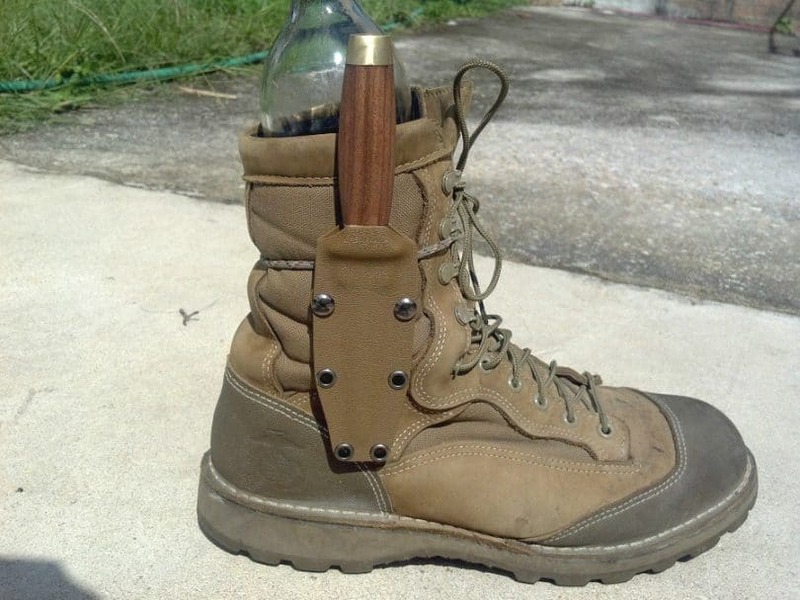 The leather handle is made to be used by the very best of soldiers. The handle’s design is maximized for the user’s grip, to ensure zero slippage during use. 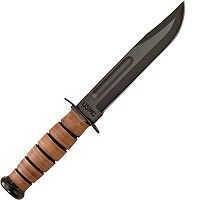 This knife is a USMC Fighting knife used to this day. With all of this quality design in place. And crafted and made in the United States of America. All who own this knife will know they have naught the very best in quality. The leather sheath that is used to make the knife safer to use is made with exceptional materials and is crafted in Mexico. For all the men and women who risk their lives for the safety and well-being of others, comes a knife designed for combat and saving lives. Smith & Wesson have been creating combat weaponry for hundreds of years. Their quality of weaponry can be found everywhere. The name is a house brand when weapons are in mind. This fantastic combat knife is no exception to this. The knife blade sports a 5.88-inch size. And is made from the toughest materials designed for maximum durability. The blade is made using the 440 Stainless steel which also provides all the necessities needed to prevent corrosion but definitely does not compromise with strength and durability of the knife. The entire knife measure around 10.5 inches in length, giving the user a wider interface for cutting and other usages. The blade is grooved, this means for better penetration. The blade also sports a non-reflective coating. Which helps to increase camouflage. The handle is rubberized and is made from a light but very durable material aluminum. The sheath is also made from the toughest materials out there. Heavy duty nylon is used in the creation of the sheath to provide the user with all the safety needed and preventing the knife from getting damaged. The sheath also has a synthetic liner with metal reinforcements and lashing slots. Every situation has been thought into account with this combat knife. A Forward bending metal cross guard protects the operator of the knife during its use. It all includes a front-mounted nylon storage pouch. The knife comes along with a limited lifetime warranty, thus advertising the manufacturer’s belief in quality. So far we have seen some fantastic knives. But some users may require something a little simpler. 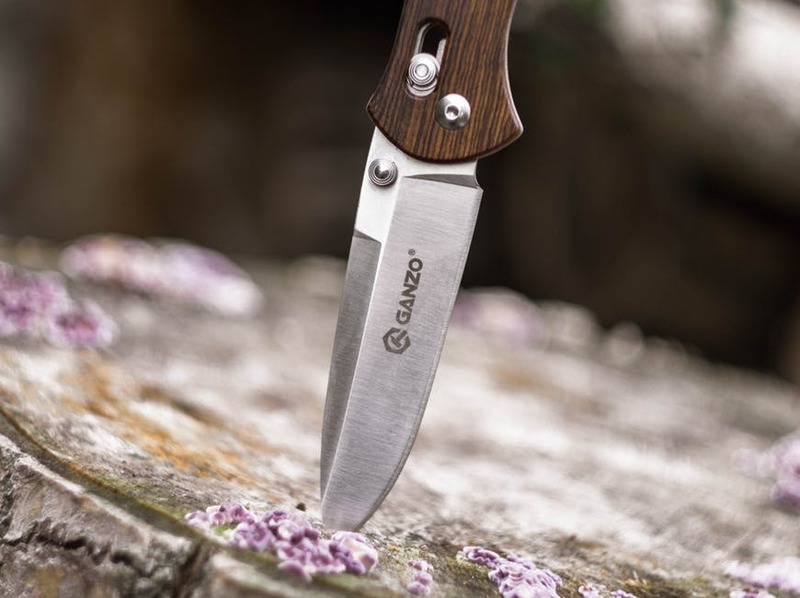 This next knife we are going to take a look at is designed for those users who require a small yet efficient quality knife, but that can also keep up with the greats. This type of knife would be found in your everyday carry type of user. But also not to be fooled, this knife can and will compete with other knives on a professional level. It is made by the same company that designed the USMC Combat knife we took a look at before. With all of the knowledge needed in crafting this knife, all of its features have been included and thought up quite well. So let’s take a look at another great combat knife made and designed by KA-BAR. The cool and sleek looking blade is black and made of Carbon steel. The owner of this knife will know that they are getting the best in durability and the blade has a very good lifespan. The blade is plain edged focusing on pure slicing power but also focuses on penetration. This stunning blade sports a well good size of 7 Inches and is quite the monster in comparison to other blades. So far we have had a look at some awesome survival and military-style knives. Now we are going to have a look at an amazing tactical knife, with a great look and feel, and all great round quality. The cold steel Tanto is a massive seven-inch blade system that comes fitted with a great number of features that can be used for a vast number of uses. These knives can be employed for some outdoor or survival situations. They also double back for a great collector’s item and can be used for sporting and hunting purposes as well. Besides the great look of the knife, it also is proven to be highly durable and useful in many other uses one might find. This astounding knife has been designed explicitly for mostly tactical purposes. So its main purpose is for the user to be able to use the knife quickly and quietly. Speed and efficiency are two key features of this knife, and along with speed comes the need to keep oneself safe from the knife. This is all achieved by the knife’s massive broad seven-inch blade. This blade is also a Tanto point blade, which will serve you well in any situation. The knife also includes a secure external sheath to maximize portability and to provide the knife with the safety when not carried and to help keep the blade sharp. The 1055 carbon steel blade has a bunch of fantastic ideas put into its creation. With its hard spring temper black rust resistant finish, all this proves that this knife will be able to avoid corrosion and rust over time. The knife has a heavy but balanced feel to it, and it ideal for throwing purposes. All in all, this versatile knife is recommended for day to day usages as well as for protection in case of emergencies. We liked this fixed knife and so featured it on our best fixed blade knife guide. Gerber knives are well known for their great quality in knives and can boast many years of exceptional knife crafting. This next combat knife system does not fall short of all of that great knife quality we all know from Gerber knives. The LMF II Infantry knife was designed purely for combat purposes. The knife is made and crafted with the durability and knife quality needed for all the user’s needs. It also uses like most Gerber knives the latest in cutting-edge technology as well as years of experience in the crafting of this knife. It also has a great look to it and will be able to also provide you with all the needs that you will use in any situation you may find yourself in. The LMFII sports a partially serrated blade, which means you will have not only the sharper slicing blade needed for cutting through meat or other purposes but also the chopping and penetration power needed to accomplish the tasks at hand. This knife also doubles up like a hammer, with its other features such as a plexi glass punch for all the other needs. This great quality knife can also be used as a spear, for hunting or other tactical throwing needs. The Knife also has a great quality sheath that includes an integrated sharpener. All round this is another great knife from a knife creator that we all know of and trust. Gerber knives continue to prove their quality and durability and also strive to fit the user’s needs, it’s specs are almost as similar as the Tac Force TF-705 knife. 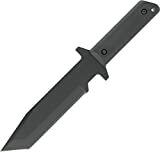 The last combat knife we are going to have a look at is another great quality knife from KA-BAR. 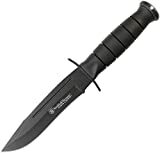 This black straight edge combat knife is not only great in size but is also made of essential materials that help to make the knife last a lot longer. With all of this in mind, it is good to mention the growing popularity of KA-BAR knives and the great service and quality that these knife makers are producing. 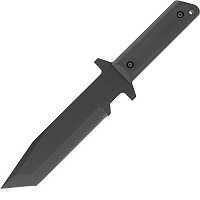 This next great combat knife does not fall short at all of all of that great quality. The number of uses that one could use this particular knife fore are limitless. It could save your or someone else’s life. Or could just be a great tool to own and carry on a daily basis, or a part of your toolkit for the outdoors. The blade on the KA-BAR is a plain edge blade. This plain edge blade is a very sporty size of seven inches and is made of highly durable and anti-corrodible substances. Black carbon steel is used to create this massive blade and will be able to assist the owner throughout the blades life; it looks similar to the Spyderco Byrd Cara Cara2. 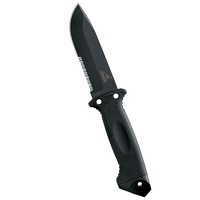 Like all KA-BAR knives, this combat knife also sports a very user friendly carry system and includes a kydex sheath. The handle is made from Kraton, and the overall length of the knife is 11.75 inches. Once again we see another great knife from a great company. This knife will be able to assist you in all your day to day activities and will be able to keep up with the user and provide all the safety needed during and after use. We loved it so much we reviewed it on our best folding knife guide. The advantages of owning a combat knife are several in number; these knives really do stand out from other knives. The combat knife usually has a large sharp blade. These blades are extremely reliable and durable and have proven to last a lot longer than normal pocket knives and throwing knives. Combat efficiency is what is key to owning a combat knife. Not to mention that in a survival situation a combat knife could save your life. Whether it be setting up a shelter hunting prey or gutting fish. One of these knives would be able to stand the test of time with you during your time in the outdoors. Apart from the size and all of the different situations one could use these knives for, combat knives make a great asset to own even for self-defense purposes. Their style and effectiveness make these a desire to own, for any knife enthusiast. The different design patterns and elegant handles add on to the style quotient of these combat knives, and one can choose from a wide range based on his or her needs. Elegance and safety can now come in the form one effective tool.